Following a beta, Sony has announced that PlayStation 4 firmware update 3.50 will be available tomorrow, April 6. You’ll be able to download the Remote Play Installer after the new update launches, and PC/Mac Remote Play allows the use of a DualShock 4 connected via a USB cable. 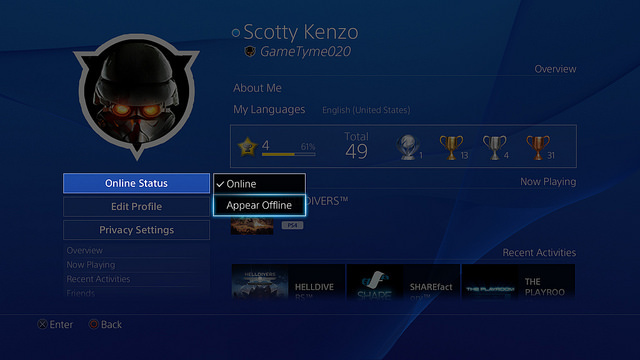 In addition to “lots of other refinements and improvements to the system software overall,” update 3.50 includes the option to broadcast to Dailymotion, social improvements where you can tag players when you Share videos and screenshots to Facebook and Twitter, the ability to check the PlayStation Network’s status, Teen account creation, and a PlayStation Plus Hub. If you have the PlayStation App, version 3.50 goes live tomorrow as well, adding the following: User Scheduled Event, users can schedule gameplay sessions with friends, Dailymotion has been added to Live from PlayStation, and other players’ shared activities appear in your activities. Will you be using PC/Mac Remote Play?